I have never posted before, so sorry if it's all wrong.. 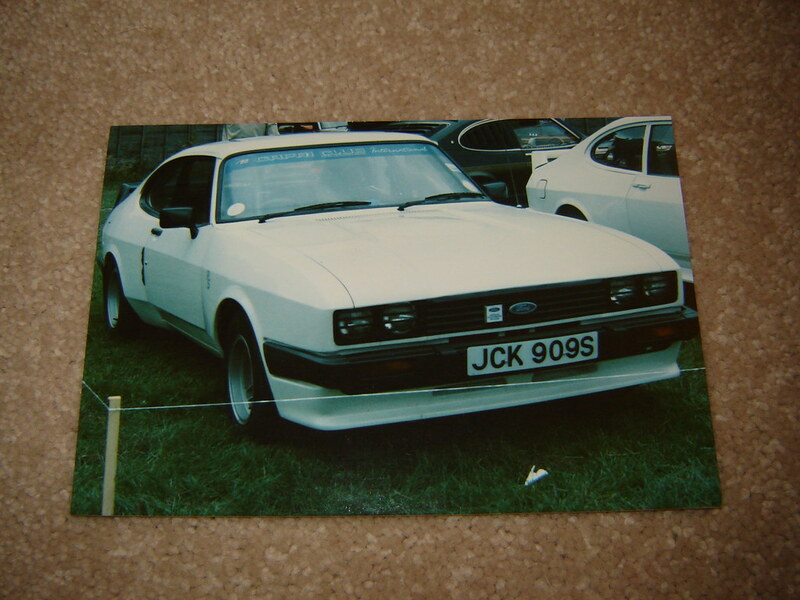 I was just looking for some history regarding JCK 909S which is a white xpack that I have purchased recently and am getting ready to carry our a full restoration on.. Any one who has owned or knows anything about this car please get in touch, I will be very grateful.. I have heard many things such as one of the first series x cars built, also that it was a demonstrator car as it has full option s on car.. Also performance ford mag has an old feature saying that the car was built by the chaps at Aveley AVO... Any info would be so much appreciated and also may be I can help on others as my family freinds and myself have owned many many ford capris in the past..
A Mk3 3.0S is a fantastic car, especially with the specifications of yours, and it's great that you're restoring it to it's former glory. I came across this photo on Flickr and the uploader states in the description that it is "owned at present". As the photo was uploaded in 2006, it could be a previous owner that you are not aware of, so it might be a line of enquiry worth pursuing. After AVO finished, Aveley was used as a pilot plant to develop the build process for new models. So it is possible, perhaps, that this car could have been made at Aveley as an early prod or pre-prod X-pack. And it only takes a bit of magazine writer assumption to add AVO to Aveley and make the link to that folklore. When I had cause to visit Aveley in the late 90s it had quite a cottage industry feel about it. It was piloting the Fiesta facelift that was going in to Dagenham that year - but there was all sorts of hobby stuff going on too, on the side. There was someone's mint MkII Granada on the ramps in there being "worked on in their lunch hours" I was told - with a wink! Thank you chaps, tops.. I know it was 1st registered to ford and believe it may have been Bristol Street motors.. I am currently trying to get copies of all previous owners from Dvla.. Thank you Noel.. That's tops.. I am pretty sure jck was first registered to Ford and pretty sure it was Bristol Street motors, I am currently trying to get previous owners via Dvla.. Please join the Capri World group on Facebook, it's pretty much the best Capri forum there is even though it isn't a real forum. There's also some people there who know it all about Series X Capris. Thats not what ive heard, lol. It's not technically a forum, but it has over 10.000 members and it's very active. My Dad (Richard Allen) used to own it back in the early 90’s before I was born. He past away a couple years ago, so I don’t have much information or stories. But I do have copies of it in Performance Ford (5 page spread) and plenty of photos on the drive and at shows. I would love to hear about it's current condition and possibly see any photos of it?